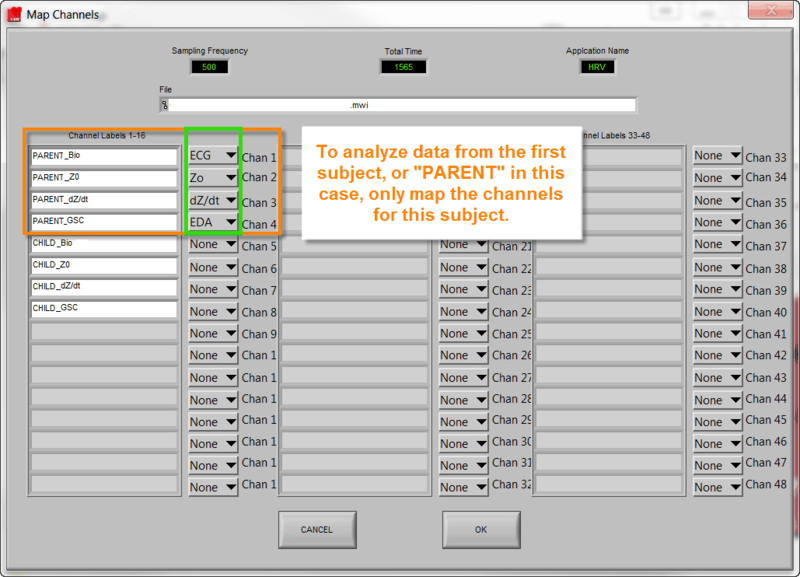 Analyze the First Subject: Map channels ONLY for the first subject as seen in the image below. Then analyze, clean and export the data. 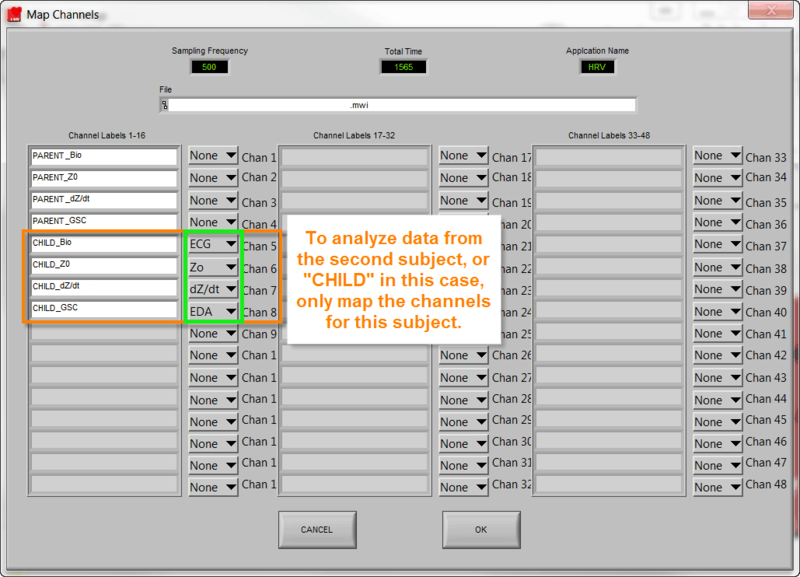 Analyze the Second Subject: Return to the “Map Channels” screen for the same file. Set all of the first subject’s (PARENT in this case) channels to “None”. Map ONLY the second subject’s (CHILD in this case) channels as seen in the image below. Then analyze, clean and export the data. 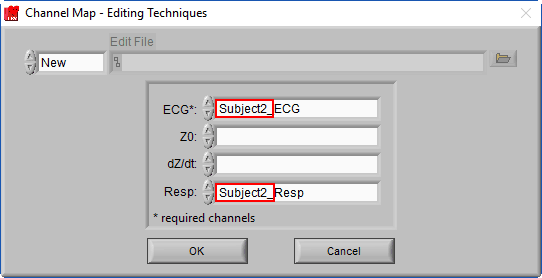 Note: Mapping all channels for all subjects within the same file will result in only being able to view the first subject’s data as seen in the image below. Only a single subject can be analyzed at a time in the analysis applications. 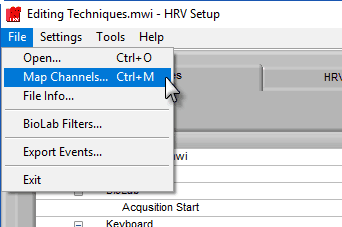 Therefore, when working with a file which contains multiple subjects, only map channels for a single subject. 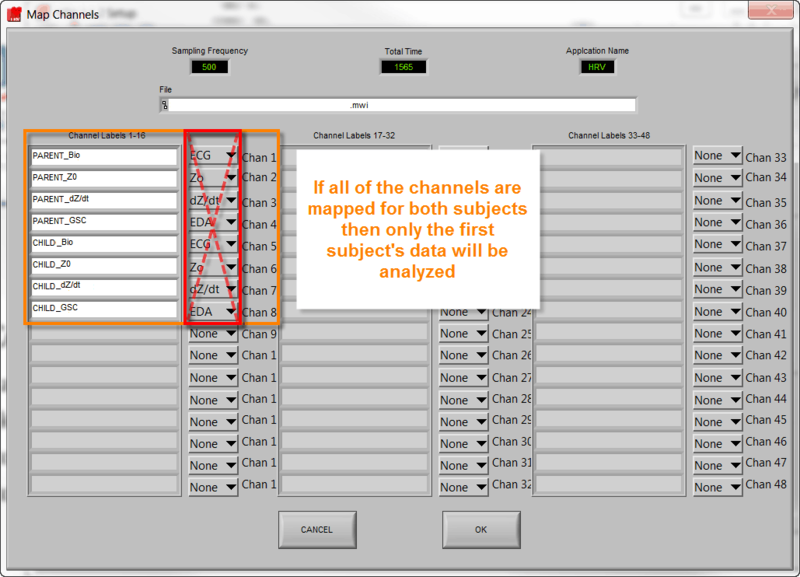 Then map the channels for the second subject and analyze. Repeat this procedure for each subject in your file.